Robert Shibuya Leads Management Buyout of Mohr Partners, Inc.
DALLAS, TX – April 11, 2017 – Mohr Partners, Inc., a commercial real estate advisory firm, has completed a management buyout led by its current president Robert Shibuya from the founder, Bob Mohr. The 31-year-old, Dallas-based company has 18 offices in North America and three international alliances to provide real estate services in over 70 countries to occupier clients including leading private and public institutions. Bob Mohr will continue his role now as Chairman Emeritus and has agreed to serve his many existing and prospective global service clients under a long-term agreement. In addition to maintaining his day-to-day client service role with Mohr Partners, he will remain the sole owner of the 17-year-old Mohr Capital, which is active in the acquisition and development of corporate office and industrial facilities. 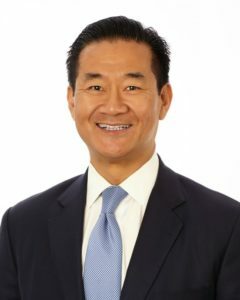 Robert Shibuya will assume the role of Chairman and CEO of Mohr Partners, an industry leader in global corporate real estate services providing strategic solutions through portfolio and lease administration, Horizon Business Intelligence, research, site selection, economics incentives practice, transaction management, and project management. Mohr Partners, Inc. is a global corporate real estate advisor, providing corporate tenants with portfolio services including strategic planning, portfolio/lease administration, research and site selection, project and construction management, comprehensive demographics analysis and economic incentives negotiations. Since 1986, Mohr Partners has been dedicated to the conflict-free management of real estate portfolios for corporations, and each year completes transactions for its clients with offices across North America. Mohr Partners seamlessly provides corporate real estate services globally through its strategic alliance partners. 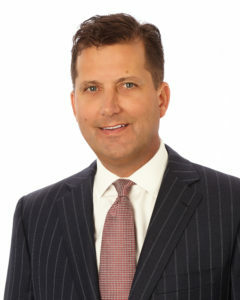 For more information on Mohr Partners, please visit www.mohrpartners.com.